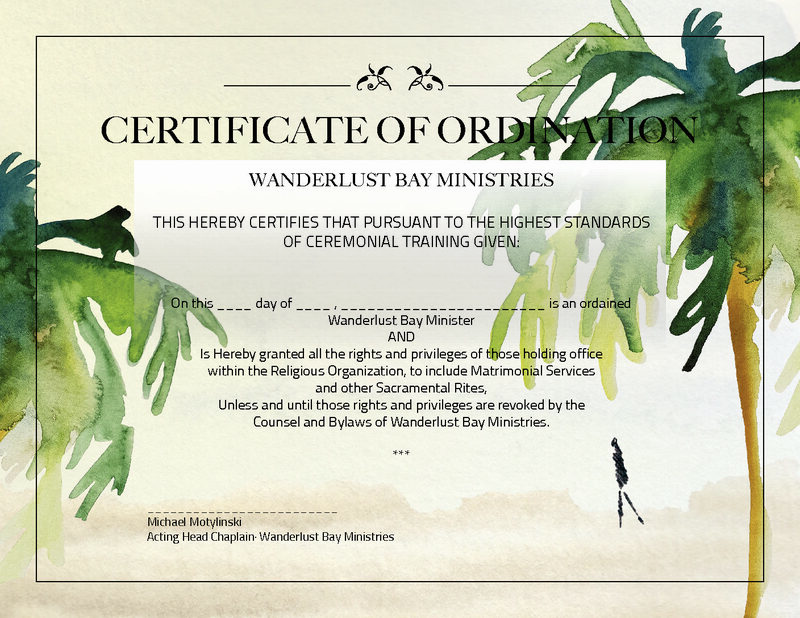 Instant ordination – meaning you’ll be ordained with us as soon as you complete your order. 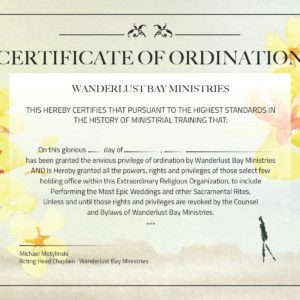 Your Ordination Paper will Ship within 24 hours via USPS Priority Mail and will arrive with in 2-3 days). *If the wedding is taking place in Pennsylvania, Virginia and some counties in New York there may be additional documentation required. Please contact us before completing your order. You’ll then be a member of Wanderlust Bay Ministries and we will hold a rum ceremony in your honor to welcome you to the fold. And you’ll be ready to perform the greatest, most beautiful and powerful wedding ceremony the world has ever seen.